* This is the real deal! Vintage filmstrip in a metal canister! 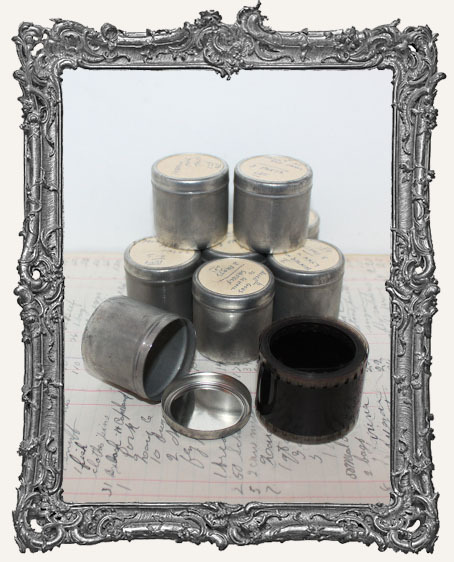 * You will get one metal canister containing one generous roll of filmstrip! 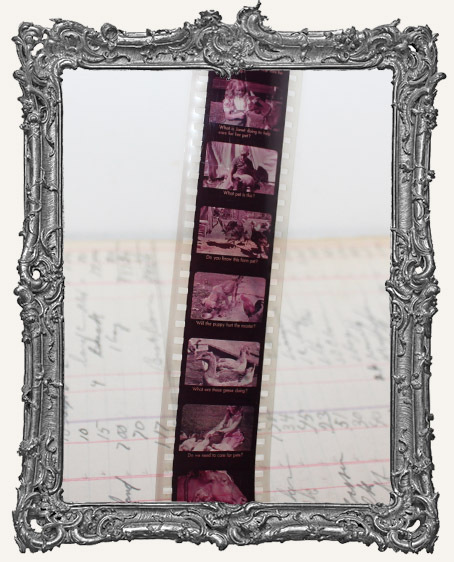 * Each filmstrip contains at least 40" - 54" of usable frames, plus some additional blank film sections. The filmstrip from edge to edge is 1-3/8" wide. The frames are approximately 7/8" x 5/8". * Subject matter will vary but they are all fun! Each will be different. * Great for collage, inchies, ATCs, jewelry, and so much more! Cut them up as desired! 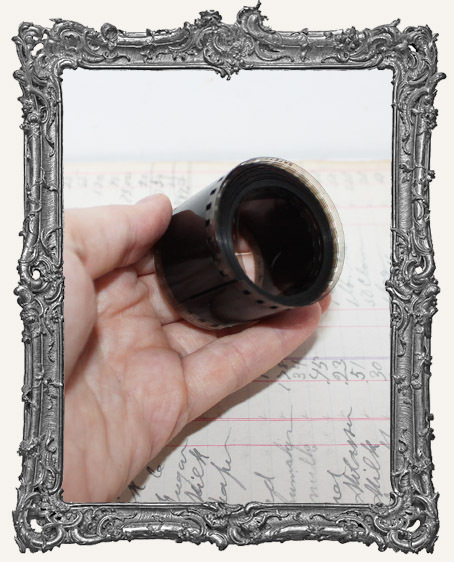 You can also use them with our fun Vintage Filmstrip Viewers!